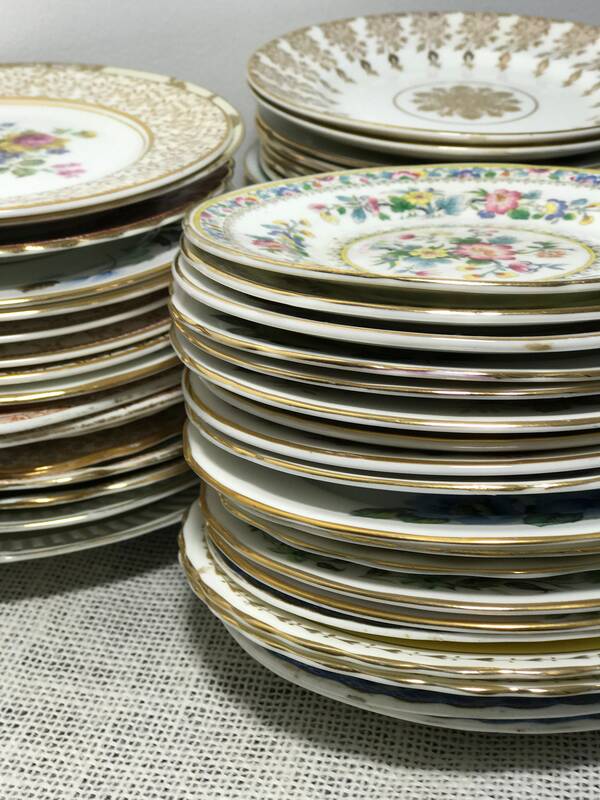 Sourced to order a job lot of 25 assorted china plates for dinner parties, supper clubs, tea parties, weddings, and events. Wonderful for weddings, events, and supper clubs, some may be slightly smaller and some larger depending on the style, shape or design. 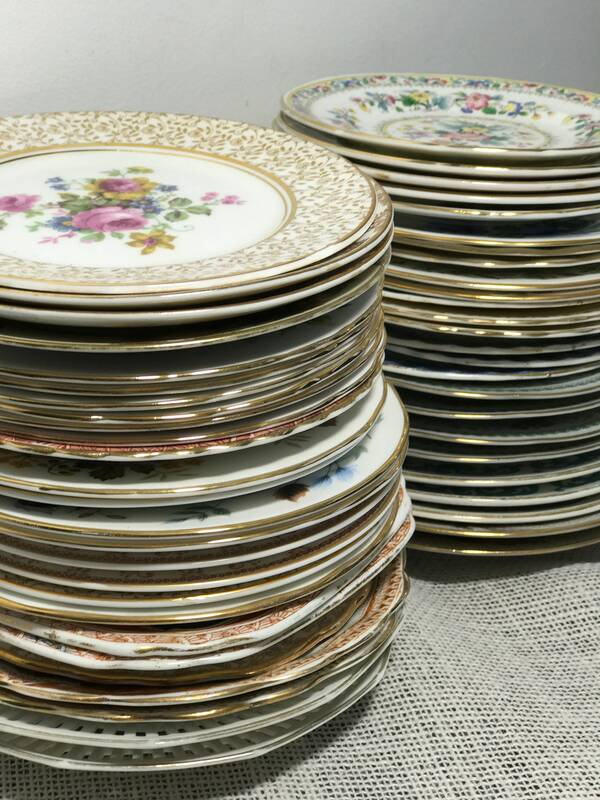 Choose from small side plates, large side plates or large dinner plates. Do you have a restaurant, tea shop, cafe or bistro? 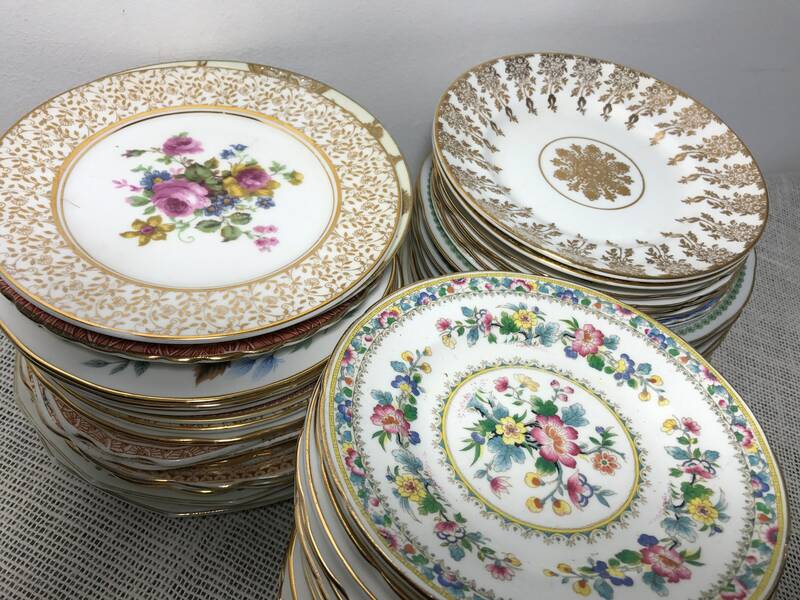 These pretty china dinner plates, many with gold and floral patterns would be ideal for vintage, rustic or shabby chic style decor or events, or perhaps you just want something quirky to talk about at dinner? 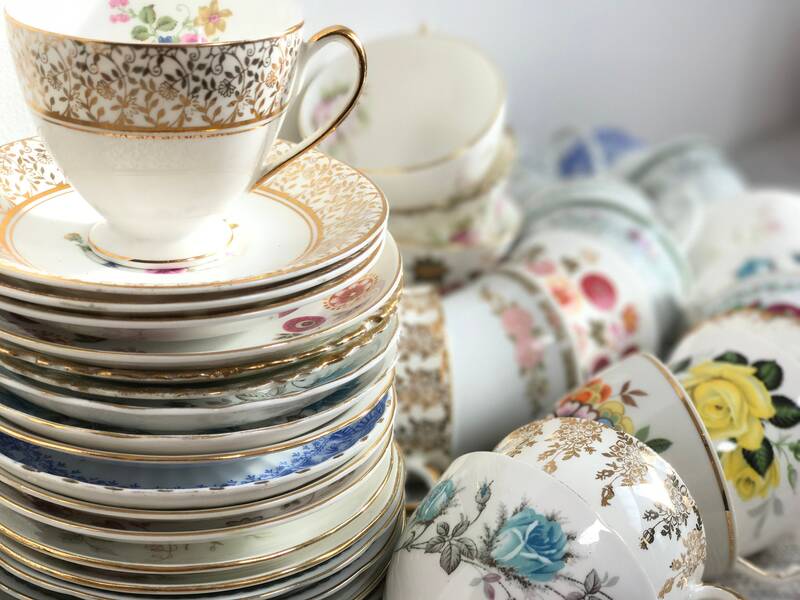 China may range in age from 1900 - 1970s and is a variety of fine bone china, bone china, and ironstone china, the majority will have gold or silver rims and detailing. 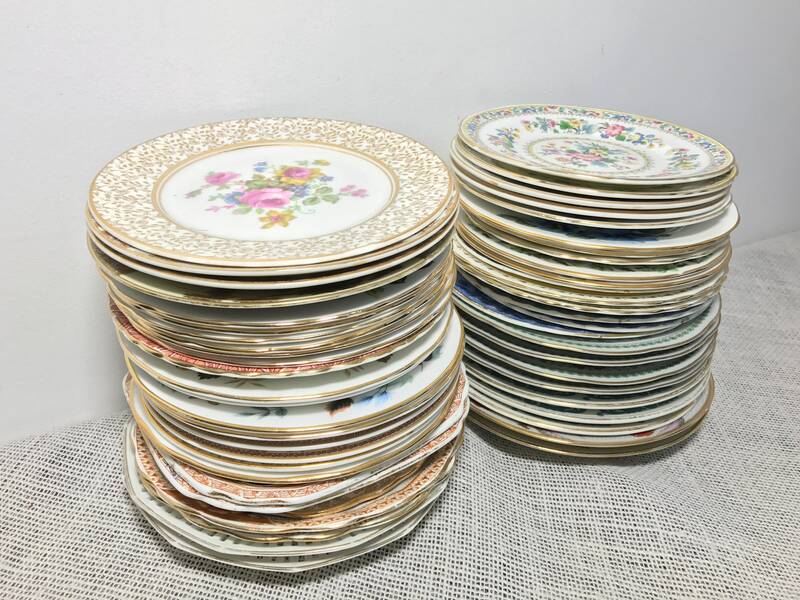 + Small side plates also available approx 6"
+ Large side plates approx 7"-8"
+ Other china also available, cake plate platters, jugs, sugar bowls, teapots. 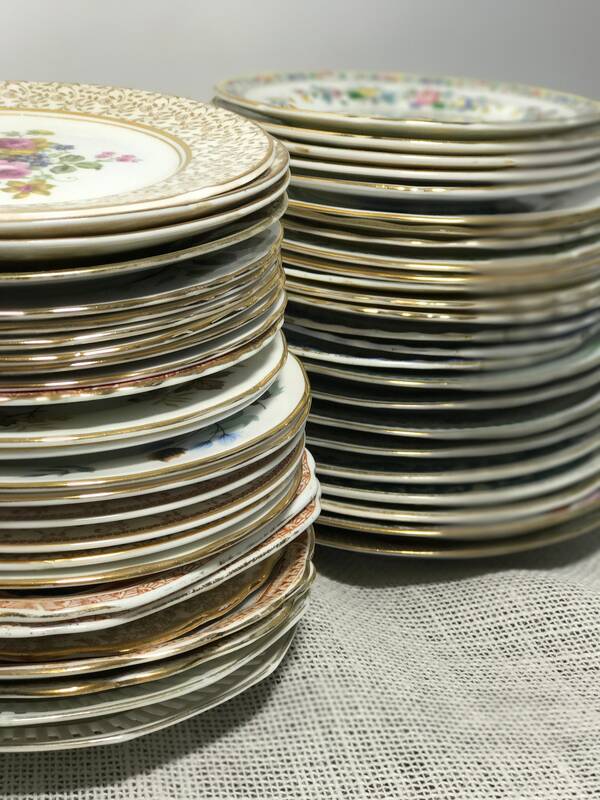 As this is vintage china there may be grazing, colour fading or discolouration to the gold/silver gilding, however, rest assured the china is in good condition with no chips or cracks. 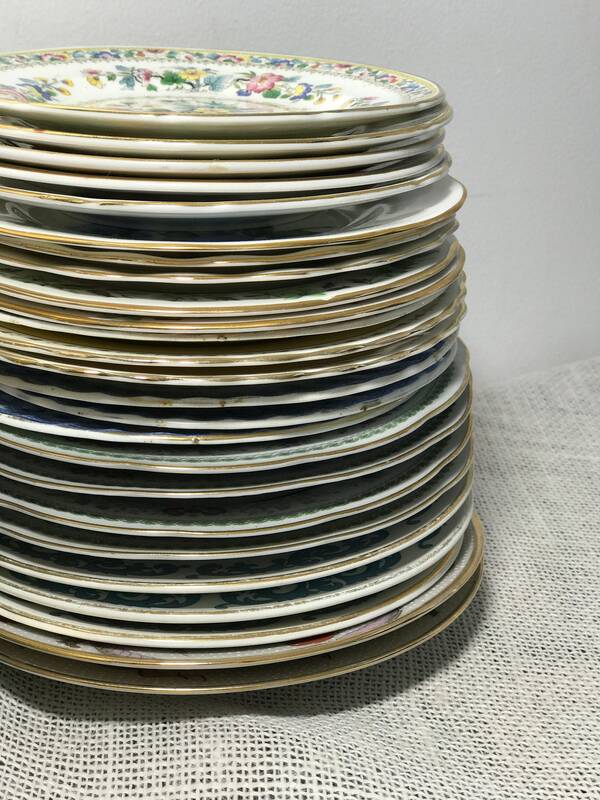 * Please note exact plates in the image have now sold, stock is renewed regularly and this listing is for custom sourcing so please let me know if you have any preferences in the note to seller or you need by a certain date. 1. Add your choice to the basket. 3. That was easy. 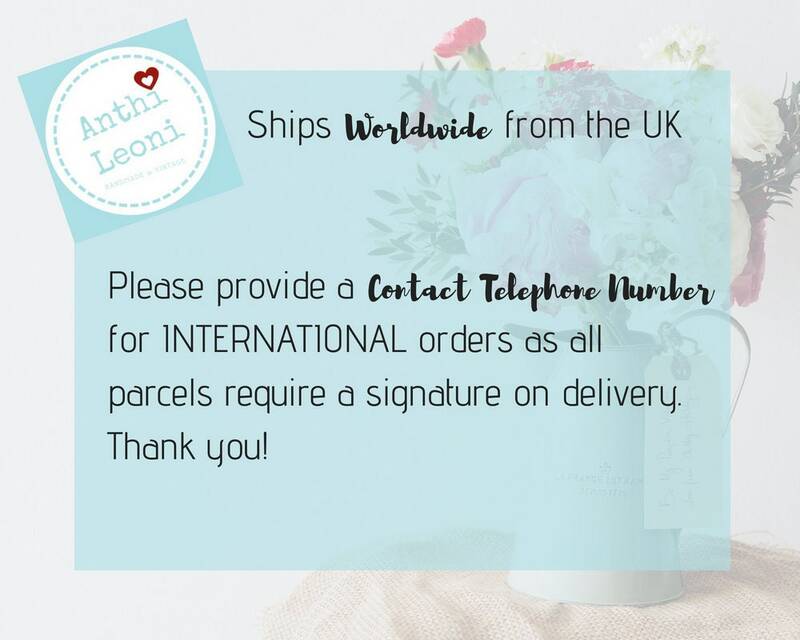 Just check out and complete your purchase! Turnaround time is 1-3 weeks on this product depending on the time of year. If you require a rush order please convo me or request expedited shipping.